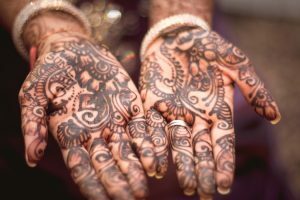 Celebrate DIWALI with the Asian Centre on Oct 26! October 5th, 2018 by phchow | Comments Off on Celebrate DIWALI with the Asian Centre on Oct 26! Come and celebrate Diwali (Festival of Lights) with the Asian Library, Centre for India and South Asia Research (CISAR), Department of Asian Studies, and South Asian Canadian Histories Association this year! Diwali or Deepavali, which means “a row of lights”, is the most widely celebrated festival in India and throughout the Indian diaspora. Celebrated on Amavasya (darkest night or no moon day), it usually takes place at the end of October or the first week of November. Diwali marks the victory of good over evil, and the beginning of the New Year in India. The festival celebration, which typically lasts from five to seven days, is celebrated by the majority of Indians regardless of faith, including Hindus, Sikhs, Jains, and Buddhists. On Diwali, people decorate their houses with diyas, candles as well as colourful lights, and they share gifts and recite prayers. UBC students, staff and faculty members are cordially invited to experience the diversity of culture through music, Henna, and delicious refreshments. Posted in Diwali, Events, Festivals, Library event | Comments Off on Celebrate DIWALI with the Asian Centre on Oct 26!